This is photo #10 (of 50) in a series about our life in Brazil. It’s very rare to have hot running water in Brazil. 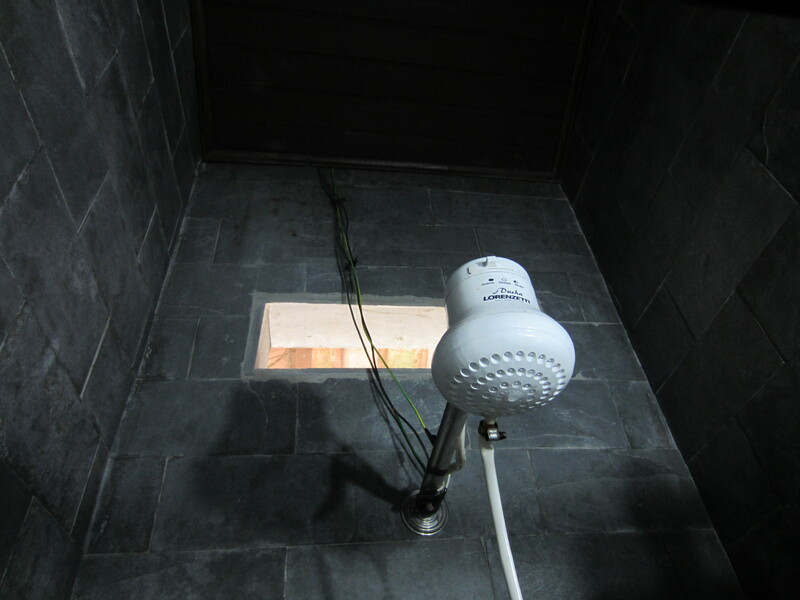 Most showers have little electric boxes above the shower head that heat the water as it comes through. There are settings for cold, lukewarm, or hot. Just don’t change the temperature while taking a shower or you might get quite a shock! Yahhhh. that’s what we have in the visiting prof apartments at HAU in the capital city. some call them “widow-makers” with their shocking capabilities !! Here at Mweya we are back to barrels of water encased in brick with a little opening below the barrel where the guys build a fire and presto, we have hot running water in the bathroom and Kitchen!